A beautiful handbag for women who love colourful patterns. 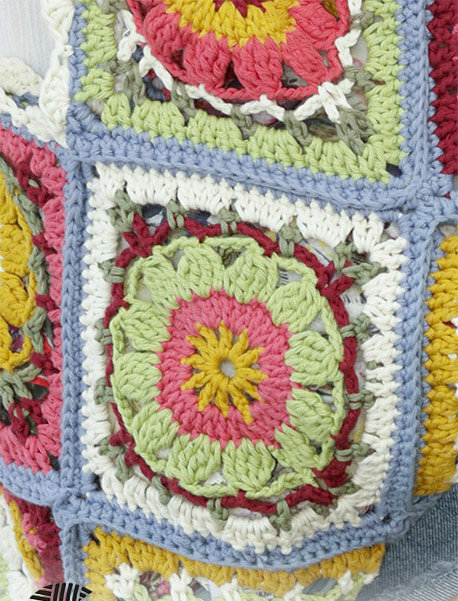 The handbag is joined by squares with a flower motif. It is a great inspiration to create something new. The bag is very fashionable and holiday. It is a nice pattern that is worth having in your wardrobe. The design is very practical and handy. You will create it in a few free moments. This is a pattern with which you can combine colours. This is a free pattern for everyone. Use yarn to create this project Garnstudio DROPS Paris. 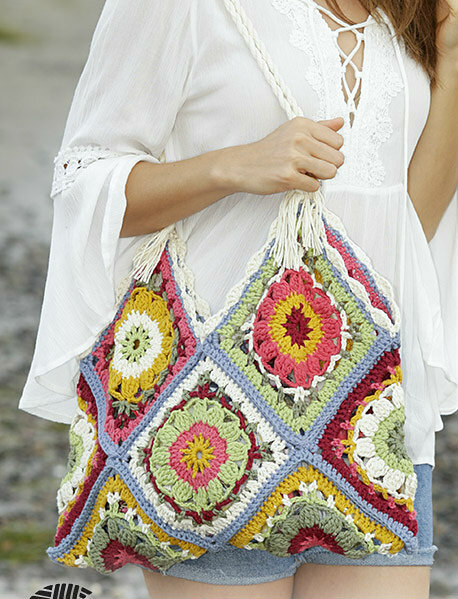 Carry Me Home bag Free Crochet Pattern is here.